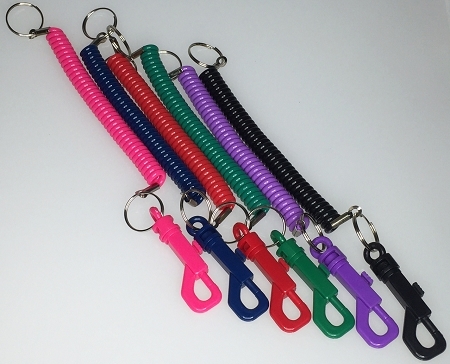 Our Jogger Coil with plastic snap, can be attached to a belt loop, pocketbook, or wrapped around the waist, as well as many other uses. The coil not extended measures about 5 1/2". These will stretch to about 3'. 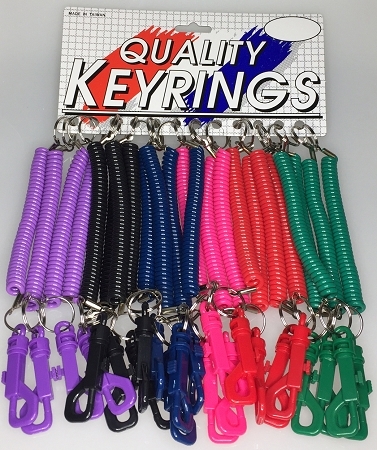 Available in assorted BLACK, RED, BLUE, GREEN, RASPBERRY, and PURPLE. Packaging is 24/Card.